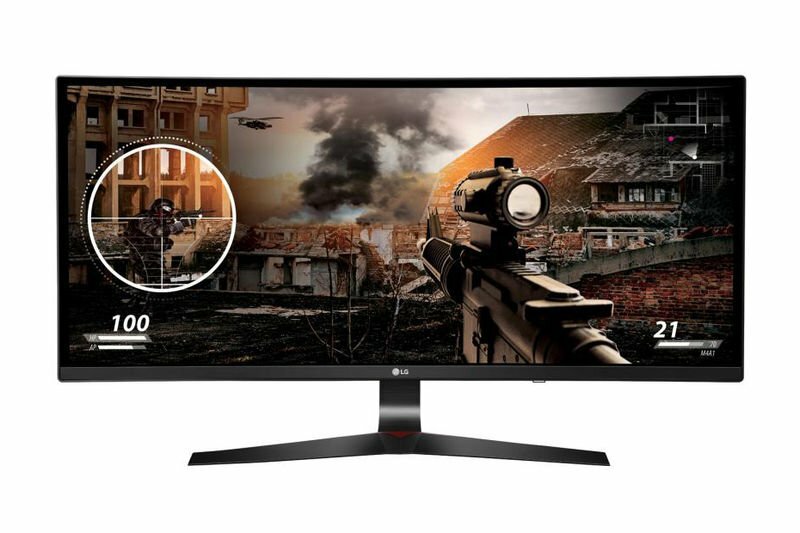 LG is set to release 34UC79G 144HZ UltraWide Monitor based on an IPS panel, a 2560 x 1080 resolution (21:9), 144Hz refresh rate (50Hz – 144Hz variable, with Adaptive-Sync) and a gentle 3800R curve. The monitor supports Adaptive-Sync meaning AMD users can run FreeSync variable refresh rate technology(with compatible GPU of course). We think that most end-users are disappointed by the 2560 x 1080 as that really should have been 3440 x 1440 resolution. Other specs include a matte screen surface, 1000:1 static contrast ratio, flicker-free WLED backlight with 300 cd/m² typical luminance and 8-bit colour (likely without dithering). A 4ms grey to grey response time is specified. There is also ‘Black Stabilizer’, a gamma enhancement feature which artificially enhances detail in dark areas at the expense of accuracy to improve visibility. There is also an on-screen crosshair function and an integrated 1:1 pixel mapping function. It has 100 x 100mm VESA holes and monitor connectivity includes DP 1.2a (with Adaptive-Sync), 2 HDMI ports, 2 USB 3.0 ports (one with fast-charging), USB upstream, 1.2mm audio input and 3.5mm audio output. The 34UC79G just went on pre-order in the US for under $699 and is expected to launch in regions including the US and EU shortly.